For this joke, all you need to do is text your friends and family saying that you lost your phone and you need someone to call it. Watch in amazement as your gullible friends call you almost right away. You can then laugh at them for falling for it and then explain the joke to those who don't get it. 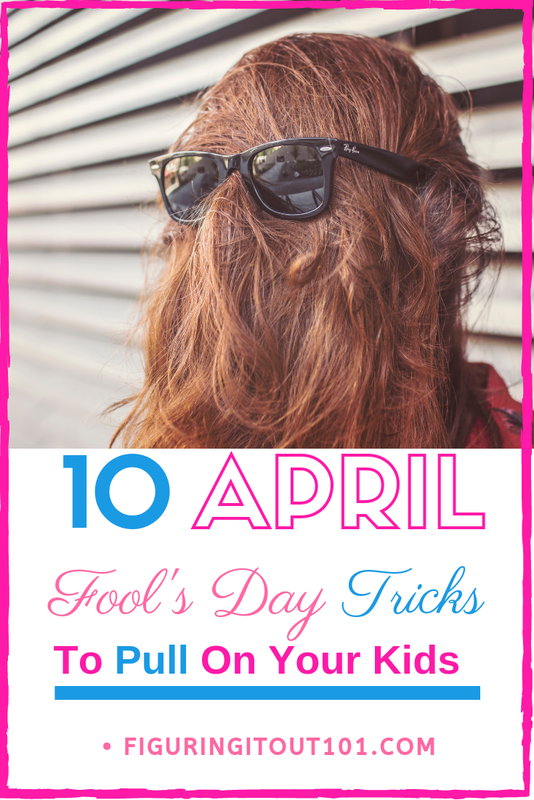 I love to do this, especially for Halloween, but this works for April Fools Day, too. There are many ways to make this cake, but to be simple, make bake your favorite box cake. Wait for cake to cool. Crush Golden Oreos- I've learned that placing them in a gallon bag and then rolling a rolling pin over them is the easiest way to do it. Sprinkle most of the oreos on top of the cake, but put about a 1/2 cup aside. Put remaining Oreos into separate bags and mix on with blue food coloring and the other with green. These will be the colored "crystals"
Tootsie Rolls- This part is the most fun part for me. You can melt the tootsie rolls for about 10 seconds and shape them to look like poo, or you can roll and squish them until they look like it. Roll them between your hands so they are long and skinny and then swirl them onto the cake. Leave some hanging off the sides. Brownies- I think these look more realistic. Squish and mold the brownies to the shape that you like and then add them to the top of the cake. Sprinkle remaining Oreos on top. To make it even more dramatic, you can put all of this into a NEW and UNUSED kitty litter bin and serve it with a NEW and UNUSED kitty scoop. This one is gross, but hilarious. Grab some Little Debbie brownies or Tootsie Rolls and roll and mold them to look like poo. Put them in the floor (hopefully not carpeted- somewhere easy to clean) and watch as people dodge the poo and freak out. I love construction paper, so this is also another fun and EASY April Fool's day joke. Cut out a bug like shape and tape it to the inside of a lamp shade. Put it somewhere where the lamp gets used often. When the light gets turned on, it will look like there is a bug shadow on the lamp shade. This works best for us normal people who have the toilet paper roll over the way it's supposed to be and not under. Unroll the toilet paper roll a few sheets and then draw a "spider" on one of them, then roll it back up. Hopefully you won't be the one who pulls this out because this would scare the poop out of me even if I knew it was there, but had just forgotten. You can decide how mean you want to go with this. My kids don't like anything where the texture is different and I'm not about to waste chocolate, so for this trick, I would mold and shape some Rice Crispy Treats and them dip them into chocolate. Other people like to do this with brussel sprouts or some other horrible food, but I'm not into wasting chocolate. I'll eat a Rice Crispy Treat dipped into chocolate. Ok, so this one could just be plain mean or brilliant. My kids have memorized my login password to my phone and brag about it all the time. What better way to freak them out then to change it and then watch them panic as the phone tells them they're locked out? Many phones can also be set up to take a picture of the intruder, so you can laugh at those later. You'll have to decide how much patience you have and how much sass you're willing to take. Also, make sure that you remember the new password, too, otherwise everyone is in trouble. You can change the audio language for Netflix shows and often times, it won't change the written language. I know that there are some shows that my kids or husband watch that are anime that speak in Japanese, but we have the option to change it to English. I'd imagine that other shows offer that too. 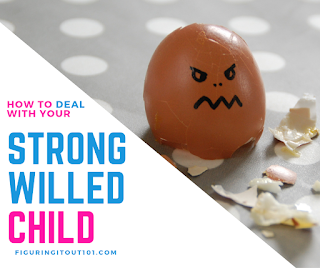 This one can be mean and very frustrating, so don't go overboard if your child is starting to get upset. It also takes practice , but if your child's name is George, call him Fred. Again, only stay in character if this doesn't traumatize your child. Warning- Some small children might decide they like to be called that and will insist it is their name, forever. Choose to do this at your own risk. Only do this trick if your child is a morning person. Wet the seat that your child normally sits on if they eat breakfast at home. Make sure they are in their pajamas and not in the clothes that they plan to wear that day for school. Watch gleefully as they sit in the wet puddle and then run when they realize that you did this to them. Your evil maniacal laughter will give you away. April Fools day isn't for everyone. If you're like Winston from The New Girl, you probably shouldn't partake in April Fools. Winston either goes too little or over the top. This video is not my own. It's from the show The New Girl. Know your kids' limits. 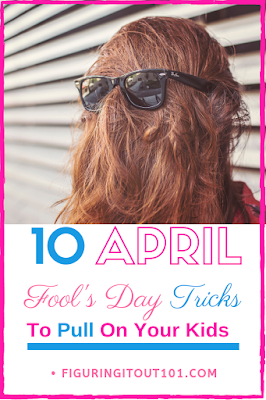 Don't go overboard because it could traumatize your child. If your child overreacts, please don't yell at them because you started this joke. Apologize and speak to them calmly. If you can't do this, then maybe wait until they are older to prank. If you think you can pull these off with ease, than go for it! Enjoy your April Fools Day everyone! 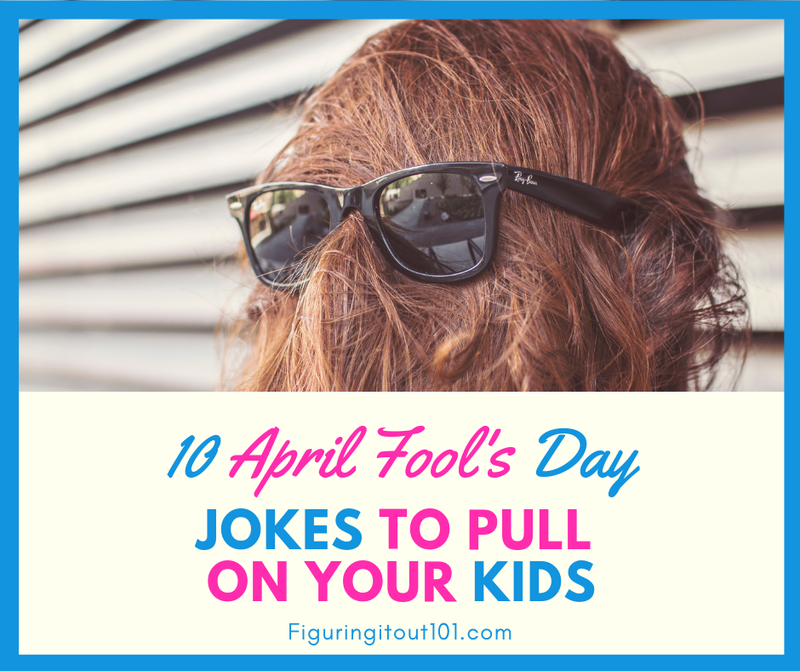 What are some of your favorite April Fools Day tricks? oh this is too funny! my daughter keeps telling us there is a unicorn outside! Haha! My daughter kept telling me that there were chickens on the roof. I don't have kids to pull these pranks on, haha. But I would definitely try to do the kitty litter cake because I love cats! If you do the Kitty Litter cake, you have to share it with others because it totally freaks them out. I think the harmless ones are best. You sill get to keep your friends after. Hahaha the cake ideas litter ideas .. Spider idea would work out even for my friends. It's a happy day if done correctly and not maliciously. These are such great ideas. Wish I had read your post yesterday. Maybe next year ... thank you so very much. Thanks! I wish I would have written it sooner! These are really funny pranks! I think the cat litter will be funny when my niece sees it, but I am sure she will never go near it. ha! 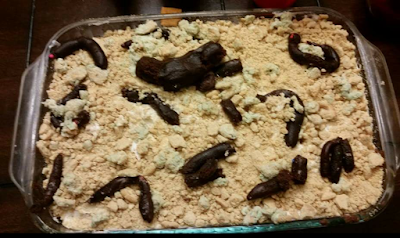 When you make the kitty litter cake, you'll have to make sure it has all the flavors you'll love because you'll end up eating it all because it freaks people out. haha Unless you have weird family members like my kids who enjoy eating the "poop". 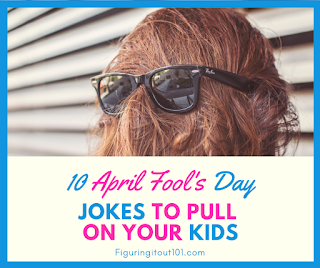 These are really funny and great way to prank this April fools day. I do like the cat litter prank and also the lost my phone prank. If anyone calls you back, you get to mock them for being gullible for months. These are all great ideas! I love the kitty poop litter prank, that’s hilarious! I thought so, too the first time I encountered it. I've made it several times over the years and the reactions to it never get old. These are such cute ideas! This year I didn't do anything with my kids but they were absolutely waiting for it! Sometimes doing nothing can be a prank. I have friends who would tell me that they were waiting for something on the years I forget. It's good to know that things are expected of me. haha. These are all hilarious and super funny. I think the kids will be interested of doing it as well. Wet seat trick is definitely my favorite. Thank you! I thought about doing the wet seat trick to my son, but he woke up already grumpy and my daughter got dressed for school right away. Thank you! Harmless and easy is the way to go! I like these pranks because they are good ideas and harmless. Thanks! It's not any fun to prank someone if they end up crying. I love pranks like this because it sounds like fun. The litter Prank sounds like a good idea.